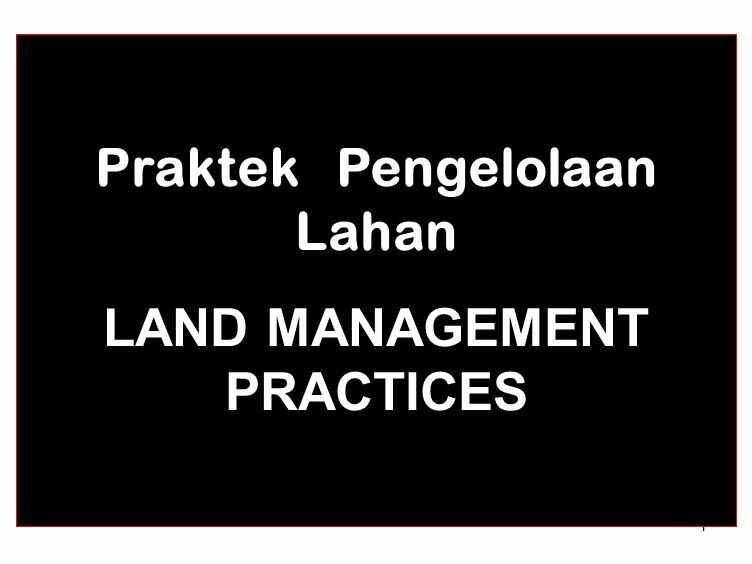 1 Praktek Pengelolaan Lahan LAND MANAGEMENT PRACTICES. 3 3 1. 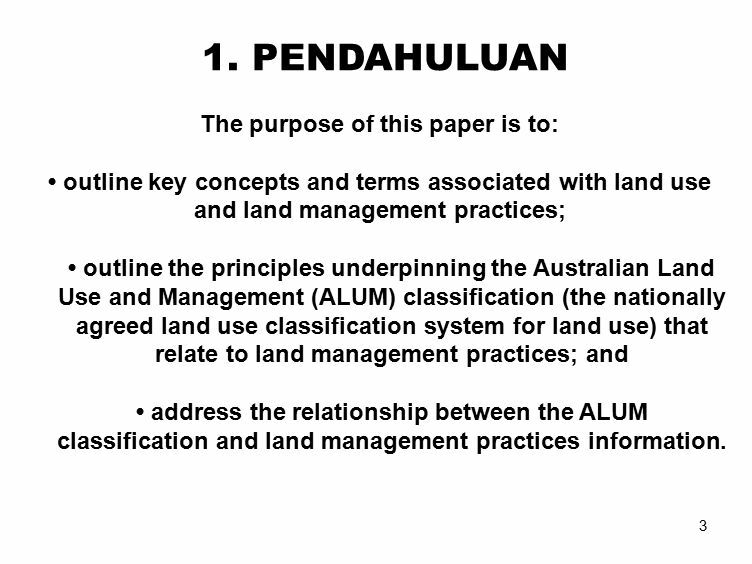 PENDAHULUAN The purpose of this paper is to: outline key concepts and terms associated with land use and land management practices; outline the principles underpinning the Australian Land Use and Management (ALUM) classification (the nationally agreed land use classification system for land use) that relate to land management practices; and address the relationship between the ALUM classification and land management practices information. 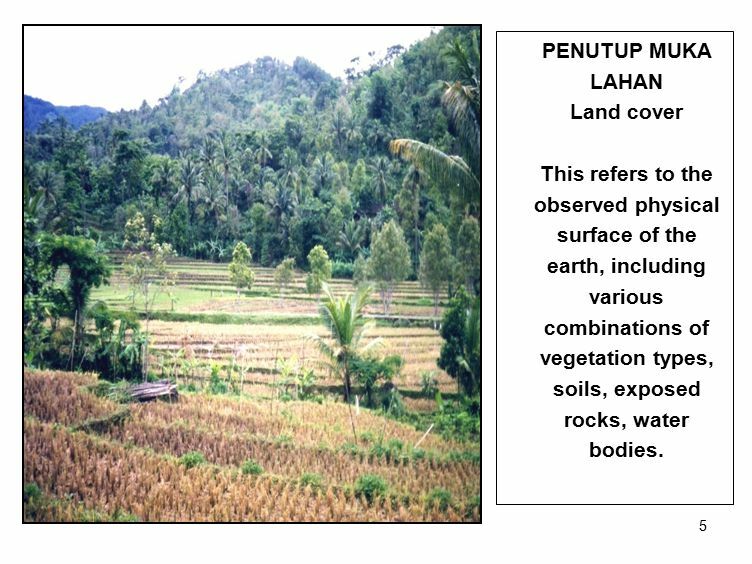 5 5 PENUTUP MUKA LAHAN Land cover This refers to the observed physical surface of the earth, including various combinations of vegetation types, soils, exposed rocks, water bodies. 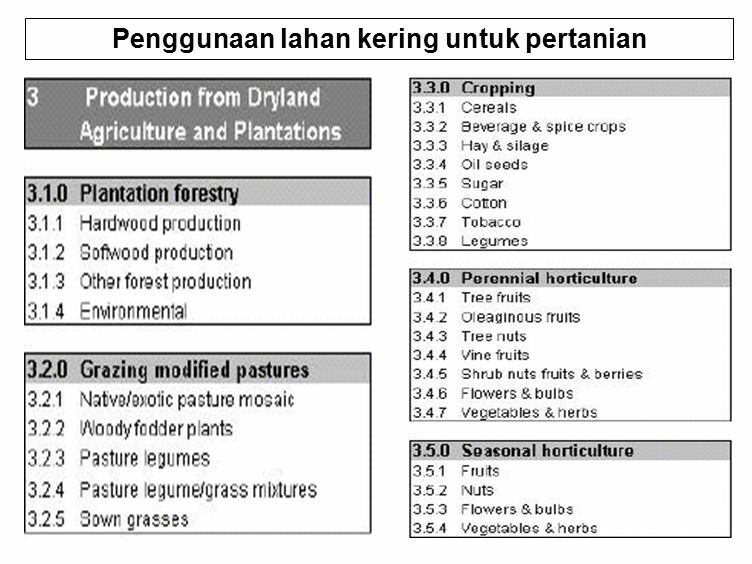 6 6 PENGGUNAAN LAHAN This refers to the purpose to which land is committed, including the production of goods (such as crops, timber and manufactures) and services (such as defence, recreation, biodiversity and natural resources protection). 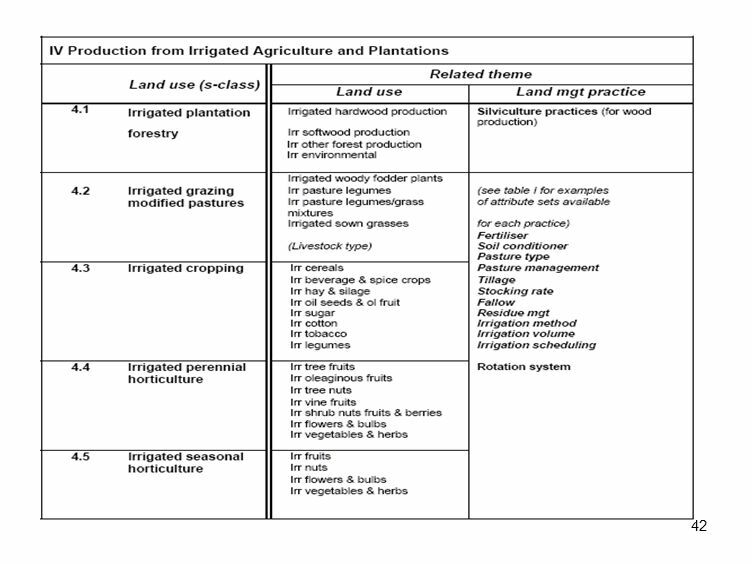 Some land uses, such as cropping, have a characteristic land cover pattern. 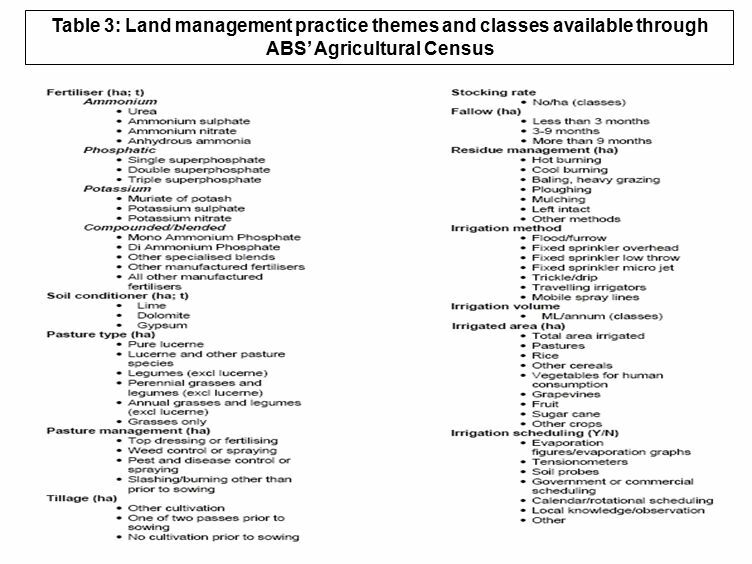 These land uses frequently appear in land cover classifications. 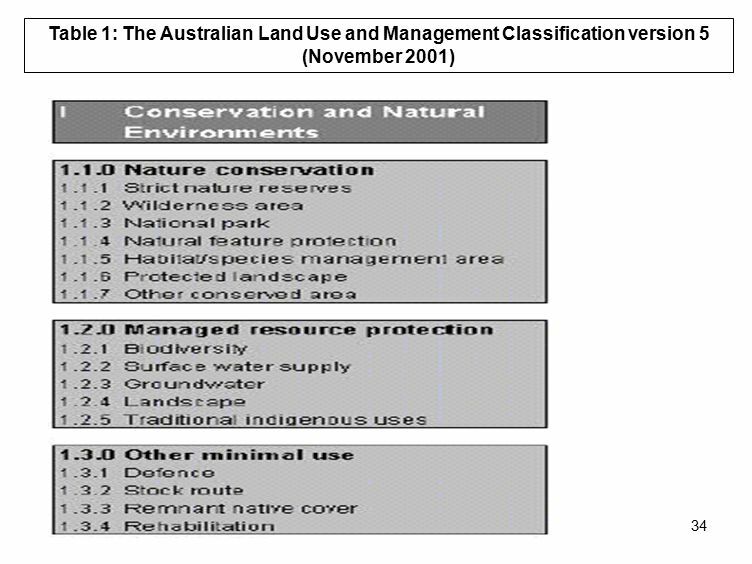 Other land uses, such as nature conservation, are not readily discriminated by a characteristic land cover pattern. 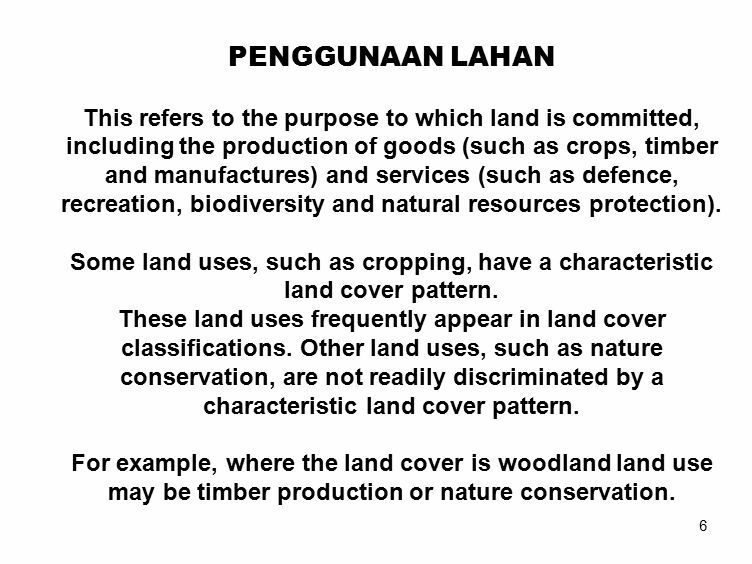 For example, where the land cover is woodland land use may be timber production or nature conservation. 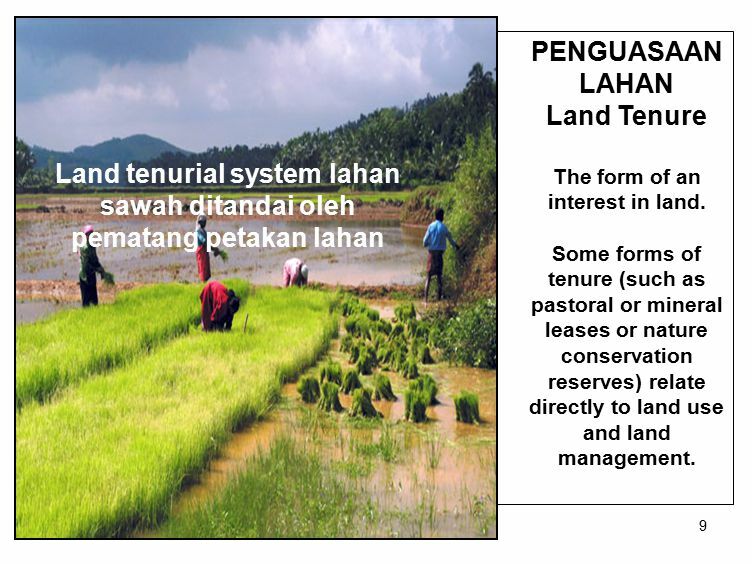 10 10 KEMAMPUAN DAN KESESUAIAN LAHAN Land capability assesses the limitations to land use imposed by land characteristics and specifies management options. 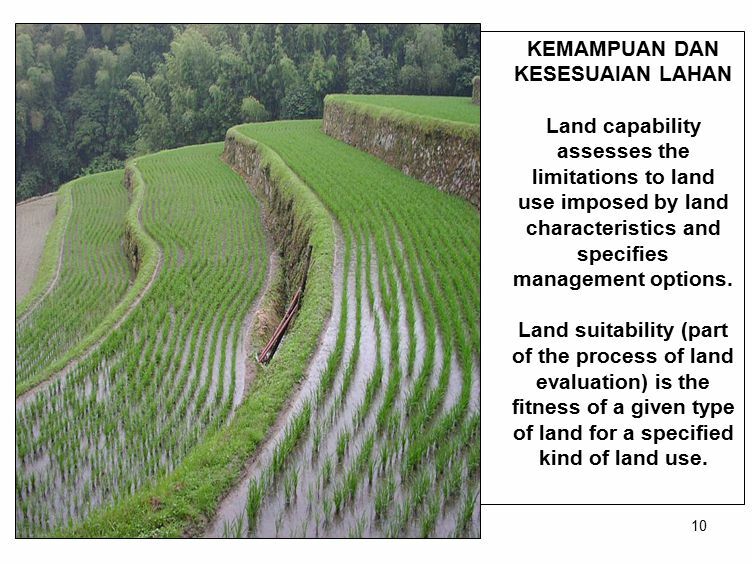 Land suitability (part of the process of land evaluation) is the fitness of a given type of land for a specified kind of land use. 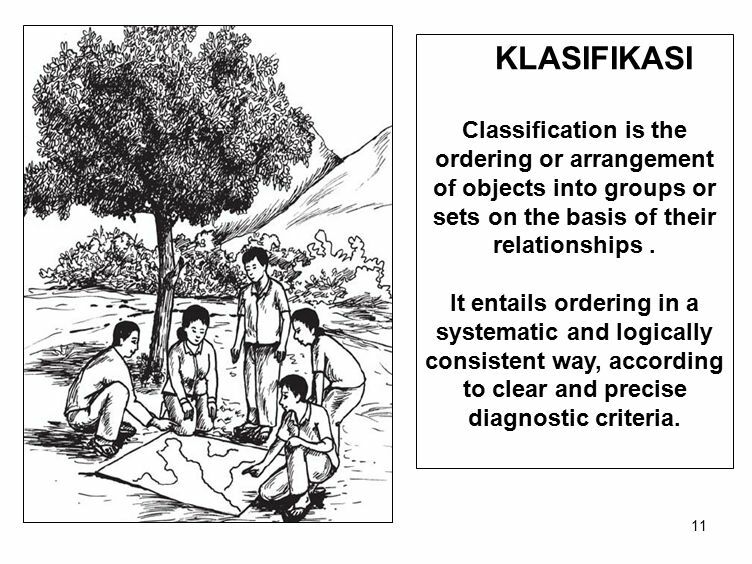 11 11 KLASIFIKASI Classification is the ordering or arrangement of objects into groups or sets on the basis of their relationships. It entails ordering in a systematic and logically consistent way, according to clear and precise diagnostic criteria. 15 15 Classification systems are generally either hierarchical or non-hierarchical. 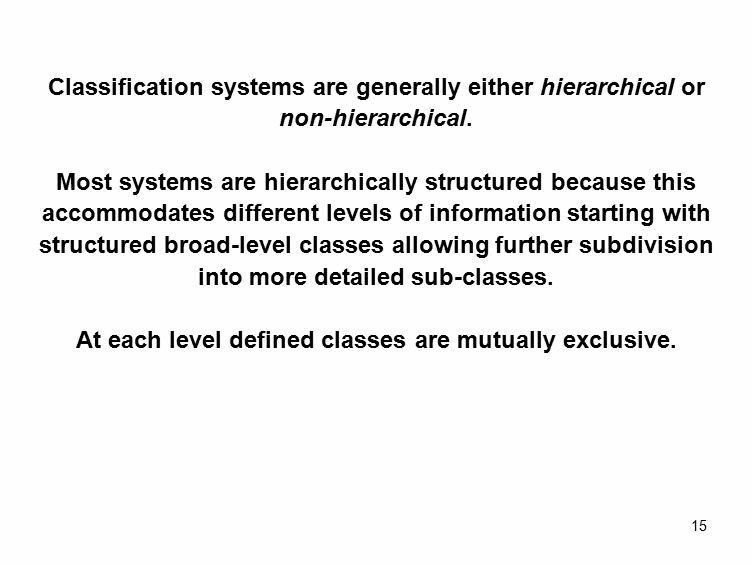 Most systems are hierarchically structured because this accommodates different levels of information starting with structured broad-level classes allowing further subdivision into more detailed sub-classes. At each level defined classes are mutually exclusive. 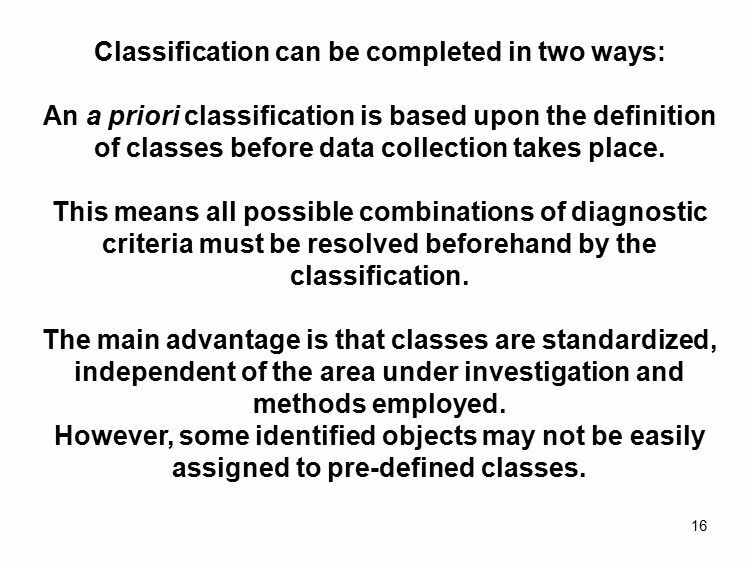 16 16 Classification can be completed in two ways: An a priori classification is based upon the definition of classes before data collection takes place. This means all possible combinations of diagnostic criteria must be resolved beforehand by the classification. The main advantage is that classes are standardized, independent of the area under investigation and methods employed. 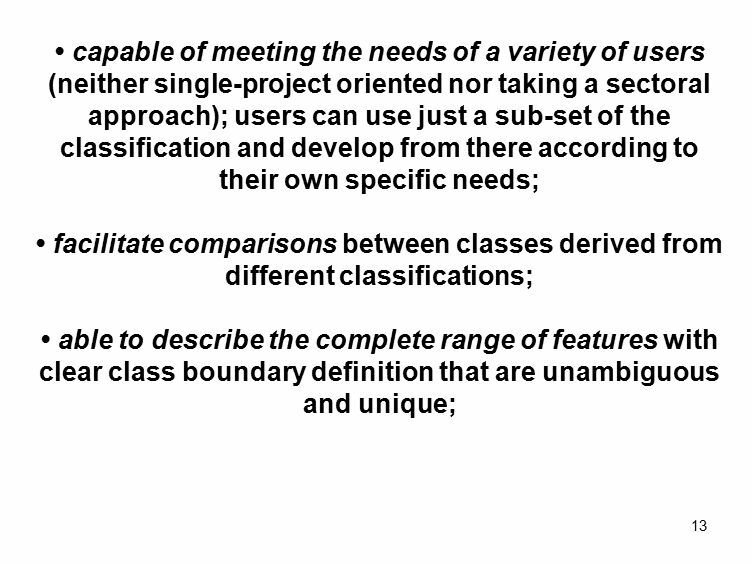 However, some identified objects may not be easily assigned to pre-defined classes. 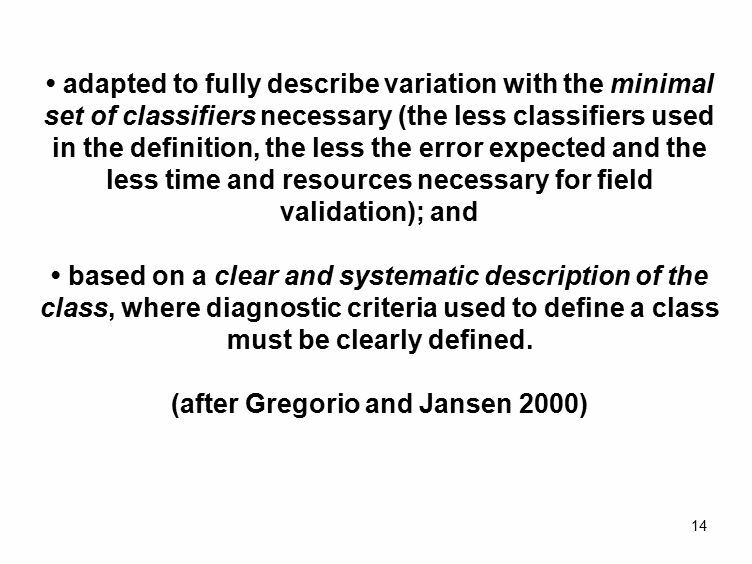 17 17 A posteriori classification is based upon definition of classes after clustering, based on the similarity or dissimilarity of field samples. 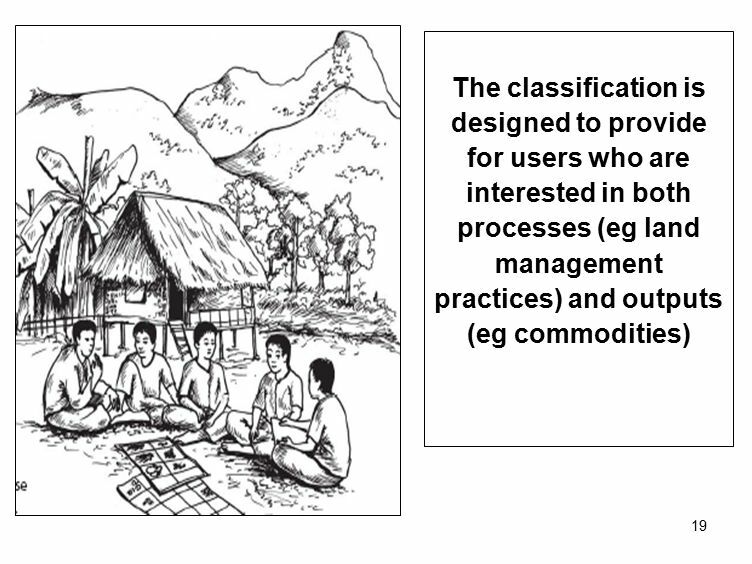 The advantage of this type of classification is flexibility, adaptability and minimal generalization. However, because this approach depends on the specific characteristics of area under investigation, it is unable to define standardized classes. 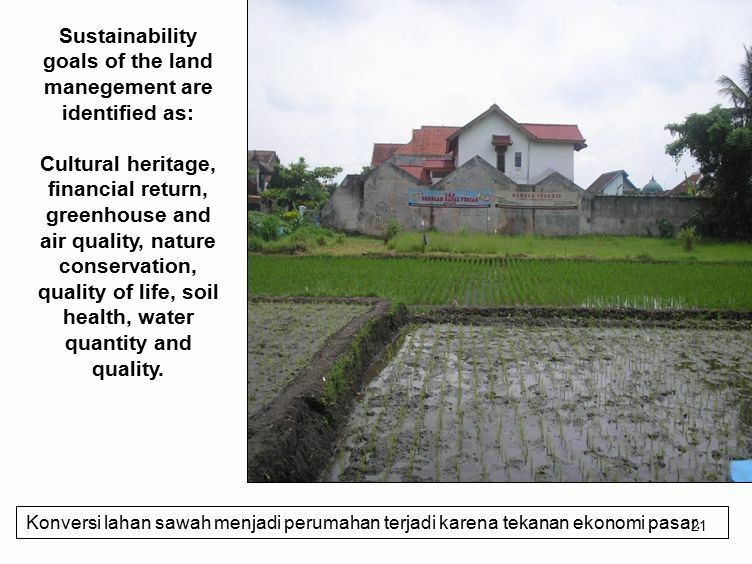 21 21 Sustainability goals of the land manegement are identified as: Cultural heritage, financial return, greenhouse and air quality, nature conservation, quality of life, soil health, water quantity and quality. 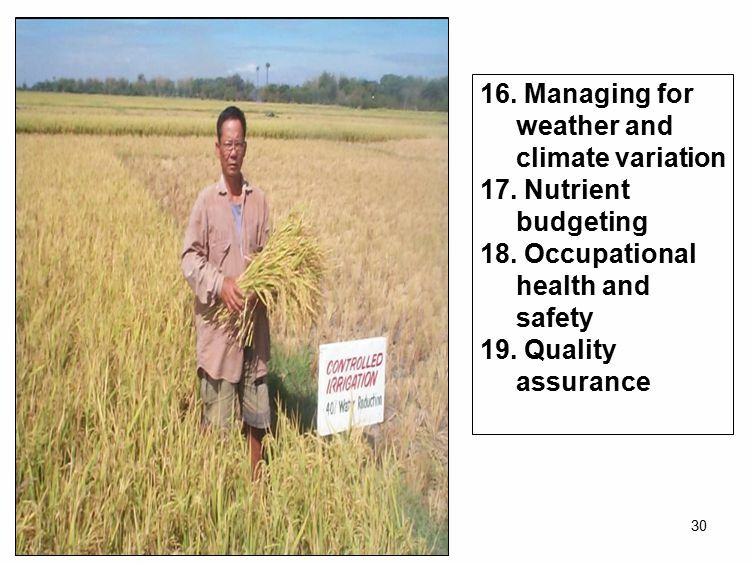 Konversi lahan sawah menjadi perumahan terjadi karena tekanan ekonomi pasar. 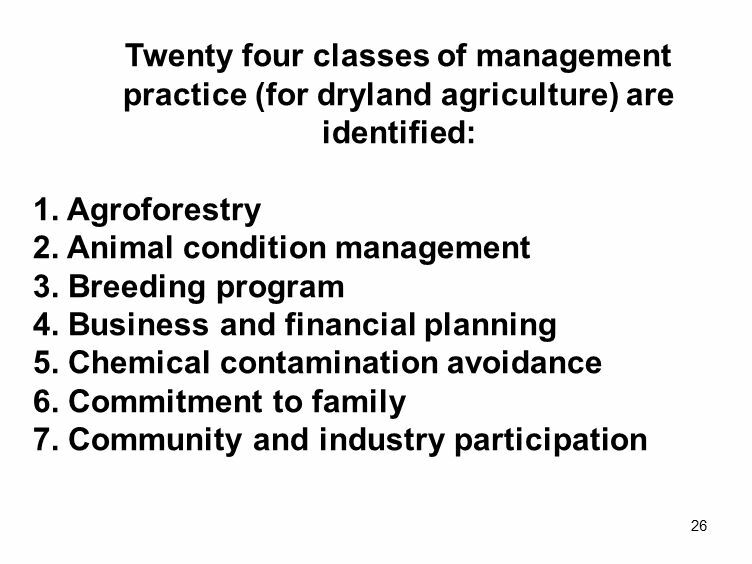 23 Environmental management. 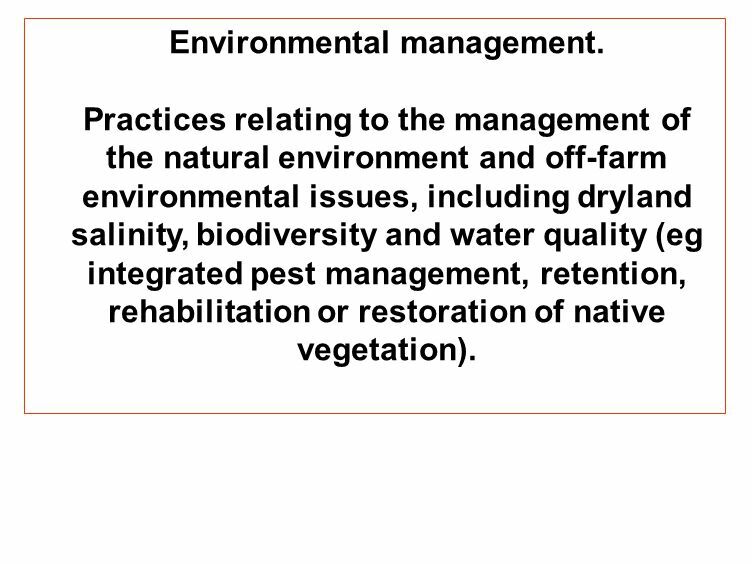 Practices relating to the management of the natural environment and off-farm environmental issues, including dryland salinity, biodiversity and water quality (eg integrated pest management, retention, rehabilitation or restoration of native vegetation). 24 Business management. 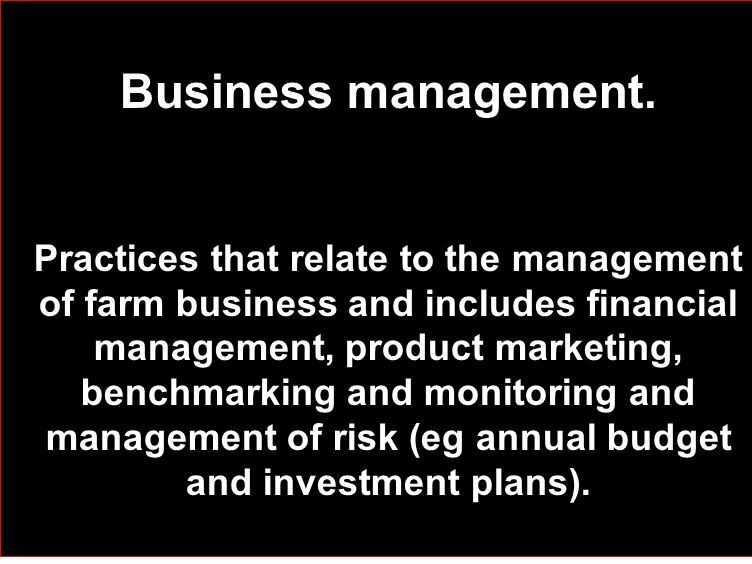 Practices that relate to the management of farm business and includes financial management, product marketing, benchmarking and monitoring and management of risk (eg annual budget and investment plans). 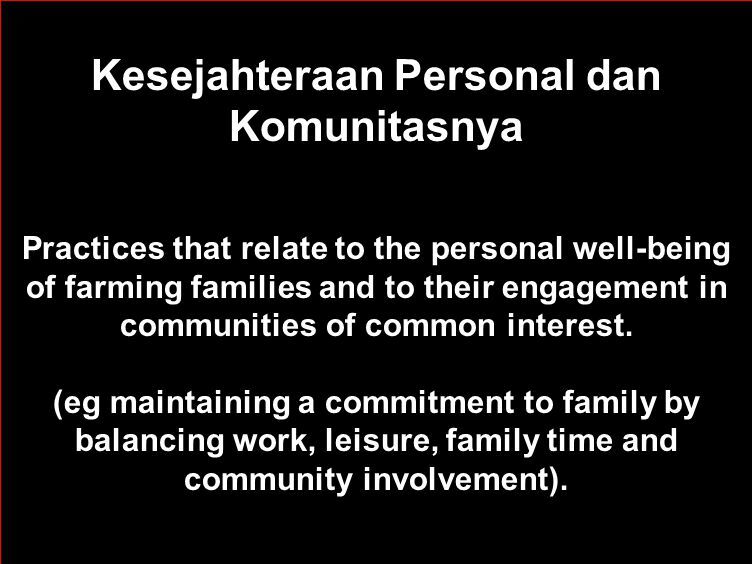 25 Kesejahteraan Personal dan Komunitasnya Practices that relate to the personal well-being of farming families and to their engagement in communities of common interest. (eg maintaining a commitment to family by balancing work, leisure, family time and community involvement). 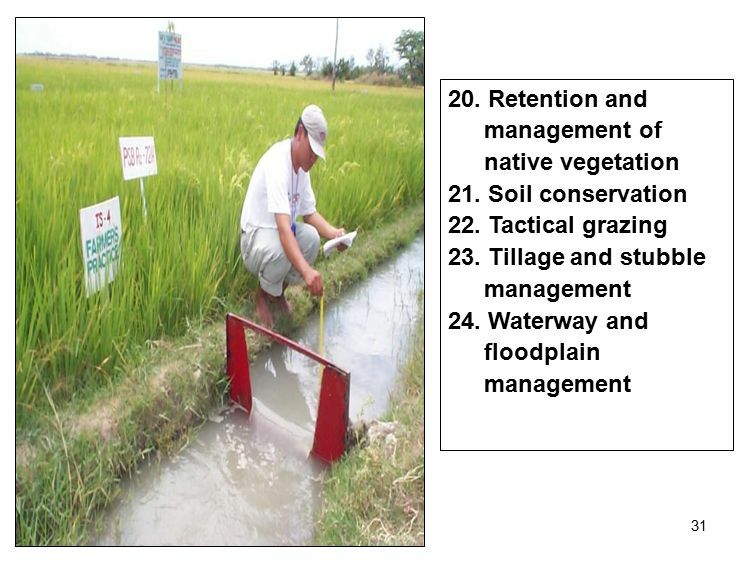 33 Land management practice refers to the means by which the land use objective is achieved – the ‘how’ of land use (eg cultivation practices such as minimum tillage or direct drilling). 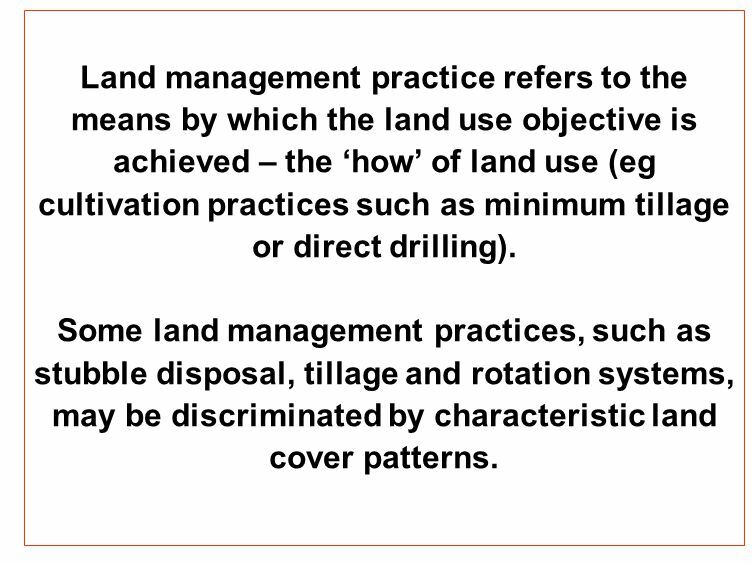 Some land management practices, such as stubble disposal, tillage and rotation systems, may be discriminated by characteristic land cover patterns. 44 44 References Barson, M.M. (1999). 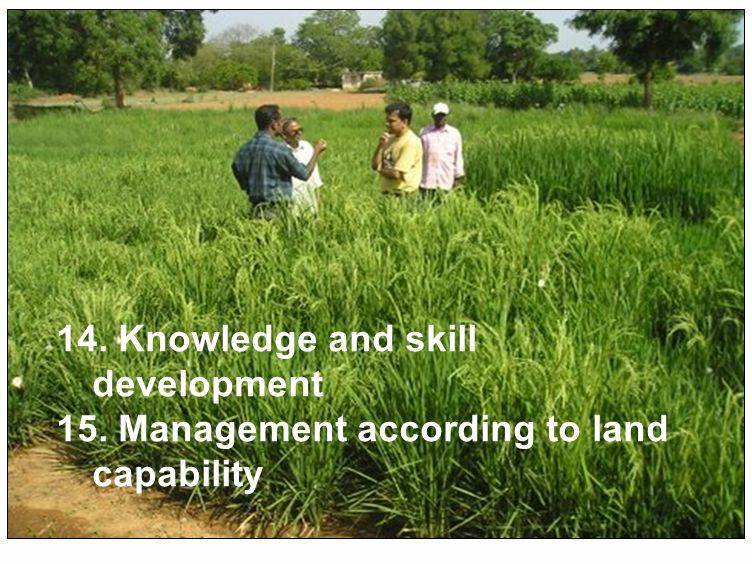 Workshop on Land Use Management Mapping. Report to the National Land and Water Resources Audit. Bureau of Rural Sciences, Canberra. Baxter, J. T. and Russell, L. D. (1994). 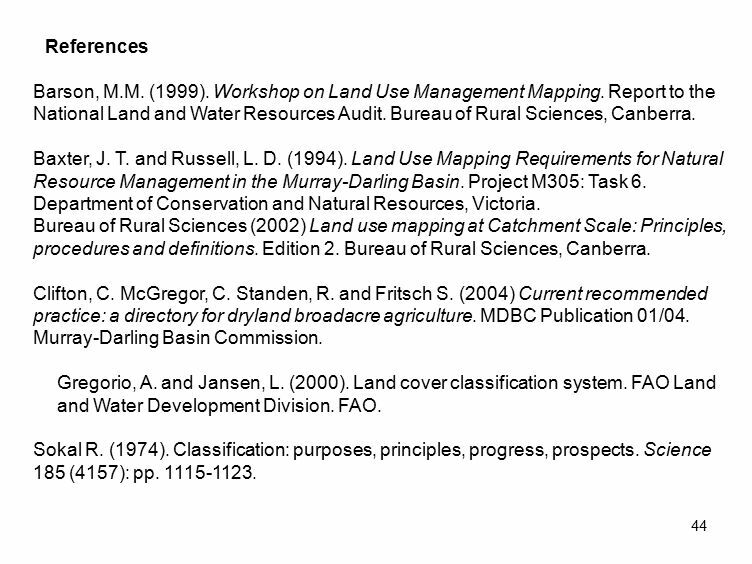 Land Use Mapping Requirements for Natural Resource Management in the Murray-Darling Basin. Project M305: Task 6. Department of Conservation and Natural Resources, Victoria. 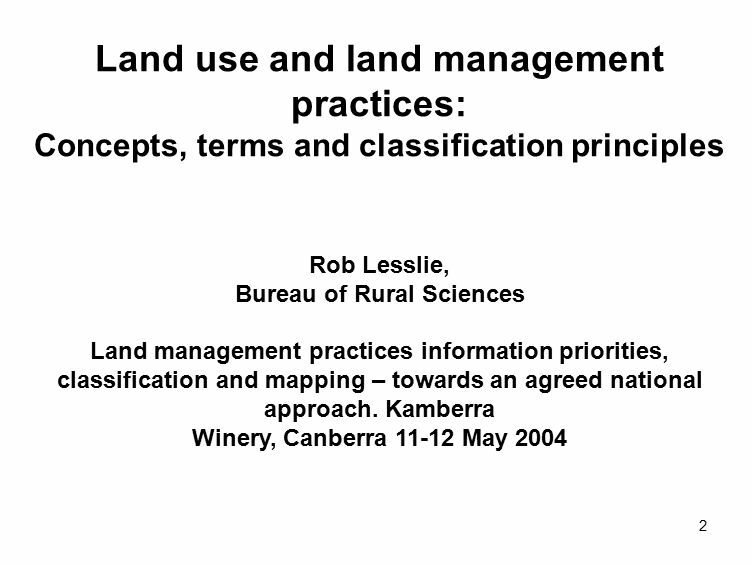 Bureau of Rural Sciences (2002) Land use mapping at Catchment Scale: Principles, procedures and definitions. Edition 2. Bureau of Rural Sciences, Canberra. 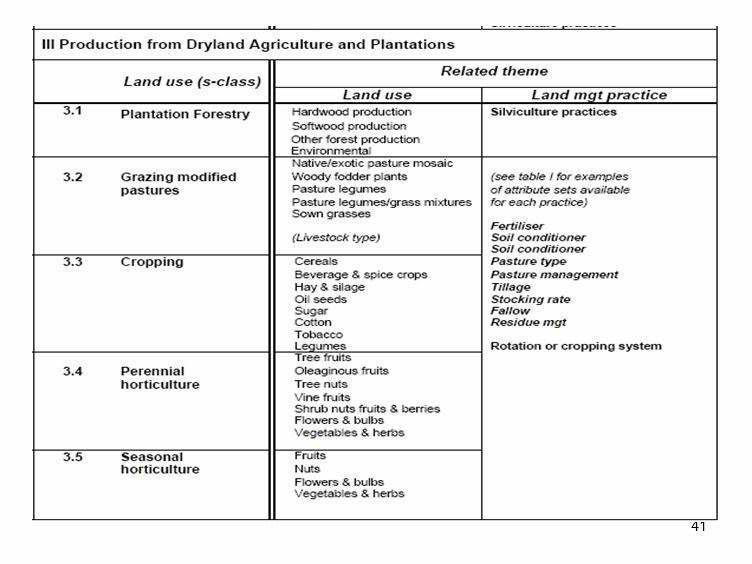 Clifton, C. McGregor, C. Standen, R. and Fritsch S. (2004) Current recommended practice: a directory for dryland broadacre agriculture. MDBC Publication 01/04. 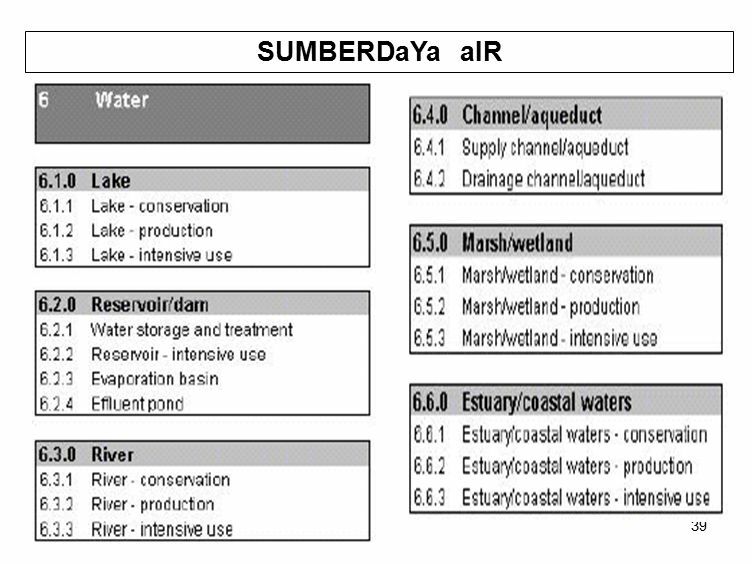 Murray-Darling Basin Commission. Gregorio, A. and Jansen, L. (2000). 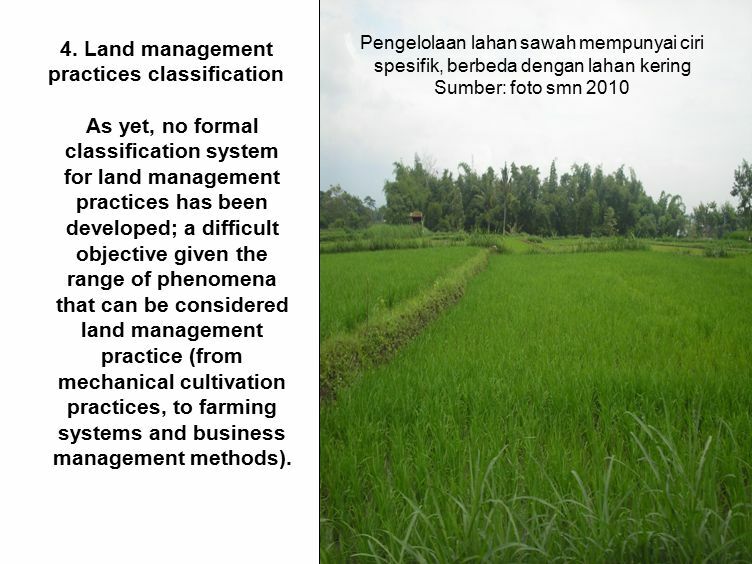 Land cover classification system. 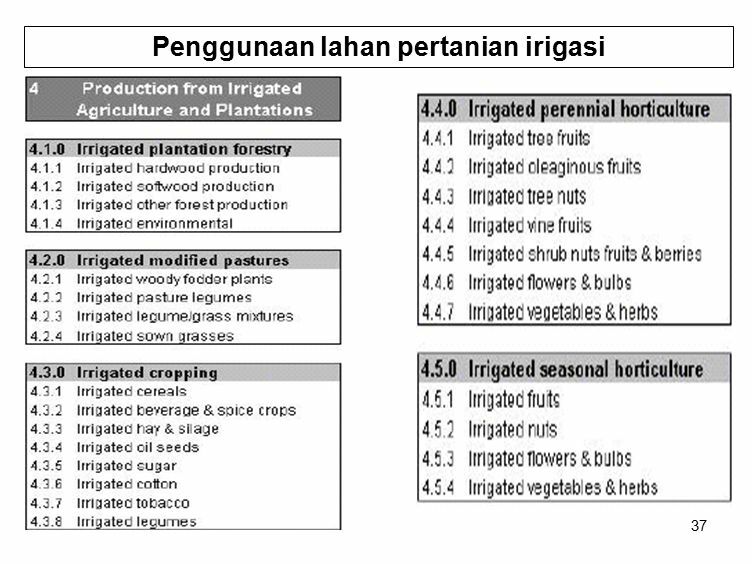 FAO Land and Water Development Division. FAO. Sokal R. (1974). Classification: purposes, principles, progress, prospects. Science 185 (4157): pp. 1115-1123. 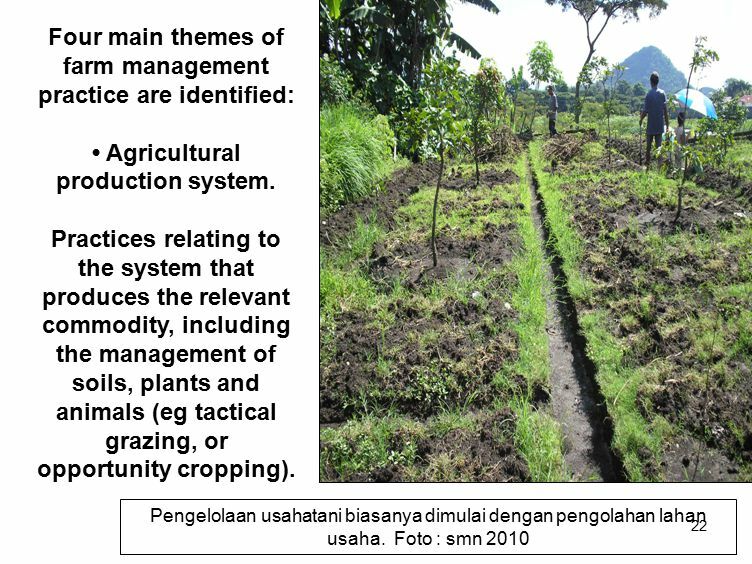 Download ppt "1 Praktek Pengelolaan Lahan LAND MANAGEMENT PRACTICES." Workshop on Good Agricultural Practices, Rome October 2004 Good Agricultural Practices in Codex Jeronimas Maskeliunas MD, PhD Food Standards Officer. Bioenergy Biodiversity and Land use Expert meeting on biodiversity standards and strategies for sustainable cultivation of biomass for non-food purposes. 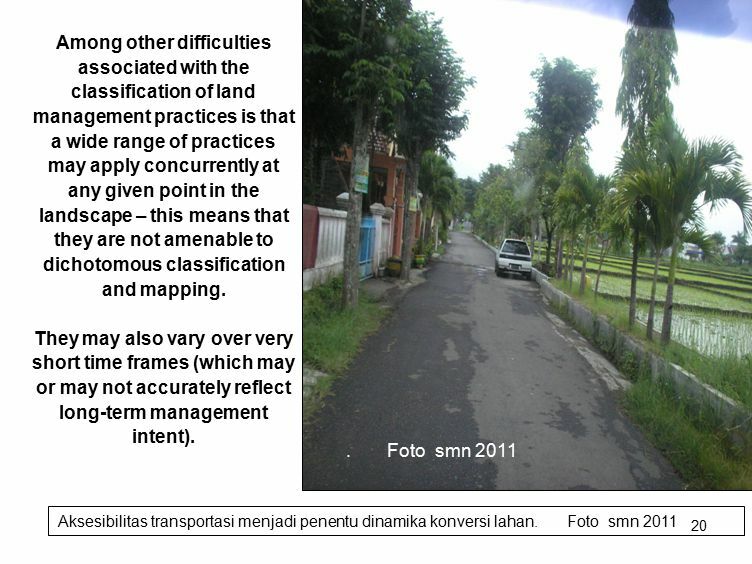 KLASIFIKASI LANDUSE Bahan Kajian MK. STELA - Landuse Planing Smno.jurtnh.fpubdes2013. 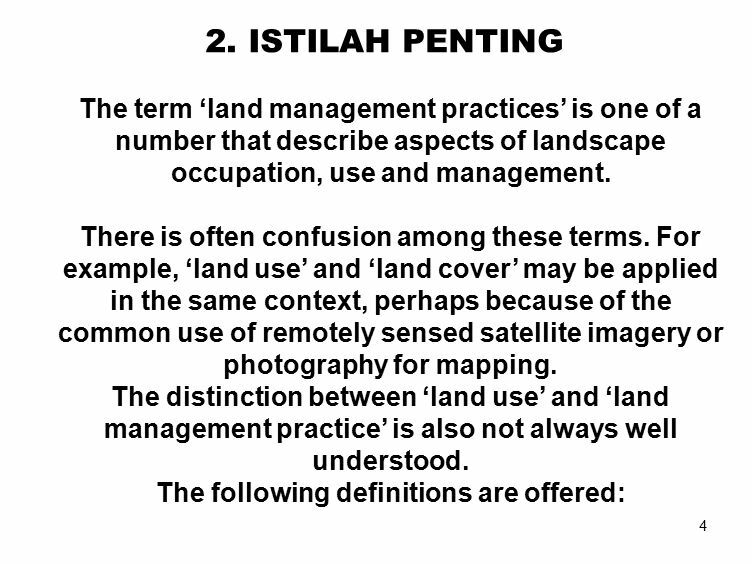 1 Praktek Pengelolaan Lahan LAND MANAGEMENT PRACTICES MK. 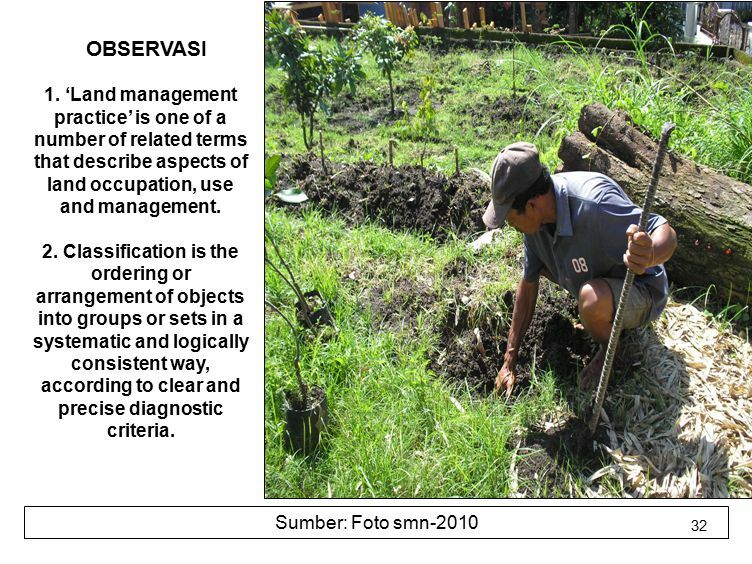 MANAJEMEN AGROEKOSISTEM disarikan oleh; Prof Dr Ir Soemarno MS Maret 2011. 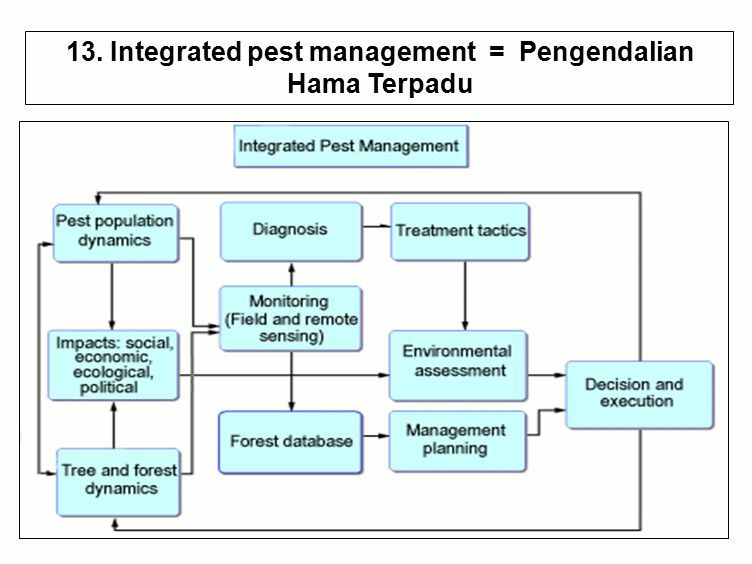 1 Praktek pengelolaan lahan Berlanjut smno.jurstnh.fpub MK. PB OKTOBER 2013. 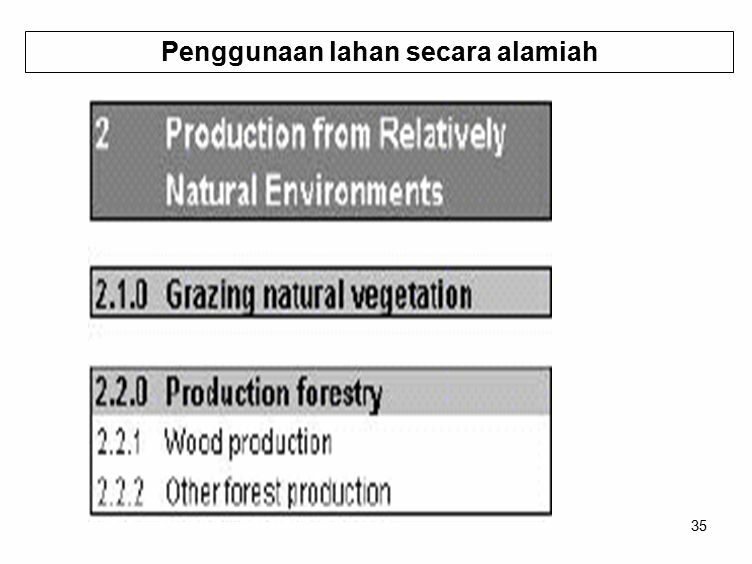 LECTURE XIII FORESTRY ECONOMICS AND MANAGEMENT. 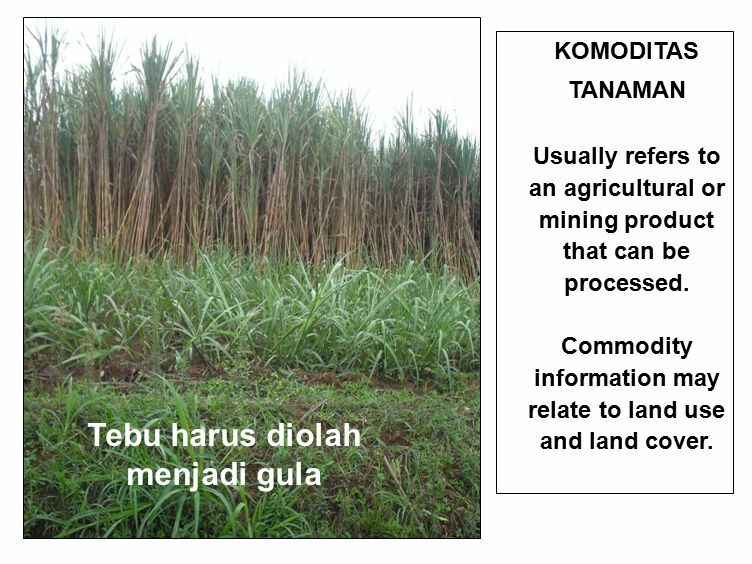 Introduction  If forestry is to contribute its full share to a more abundant life for the world’s increasing. 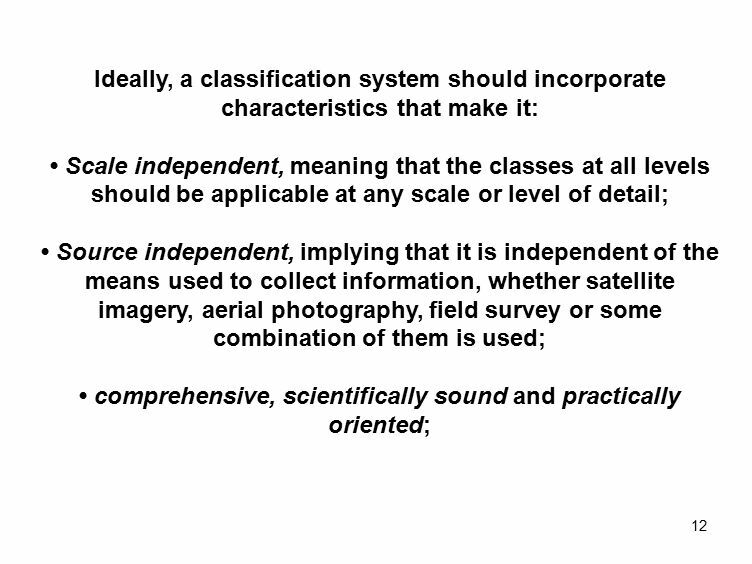 United Nations Statistics Division Principles and concepts of classifications. Bureau of Land Management NAIP Information Meeting July 19 th, 2006. Viewing Measures via the Matrix: Do we have what we need? Angela Me With Jennifer Madans, Barbara Altman, and Beth Rasch Ottawa, January 2003 Second meeting. 7/14/20151 Effective Teaching and Evaluation The Pathwise System By David M. Agnew Associate Professor Agricultural Education. 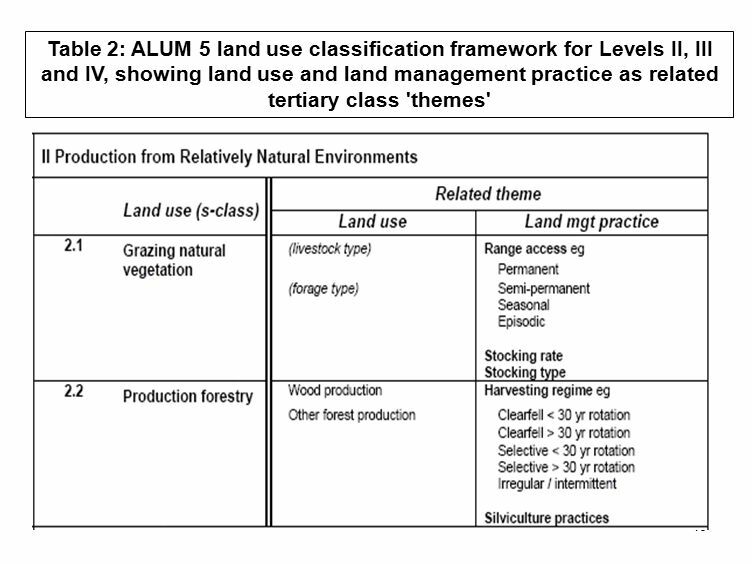 Land Cover Classification System Class A Liaison Seminar of ISO TC 211 LCCS : An Approach to the Global Harmonisation of Land Cover John S. Latham and.